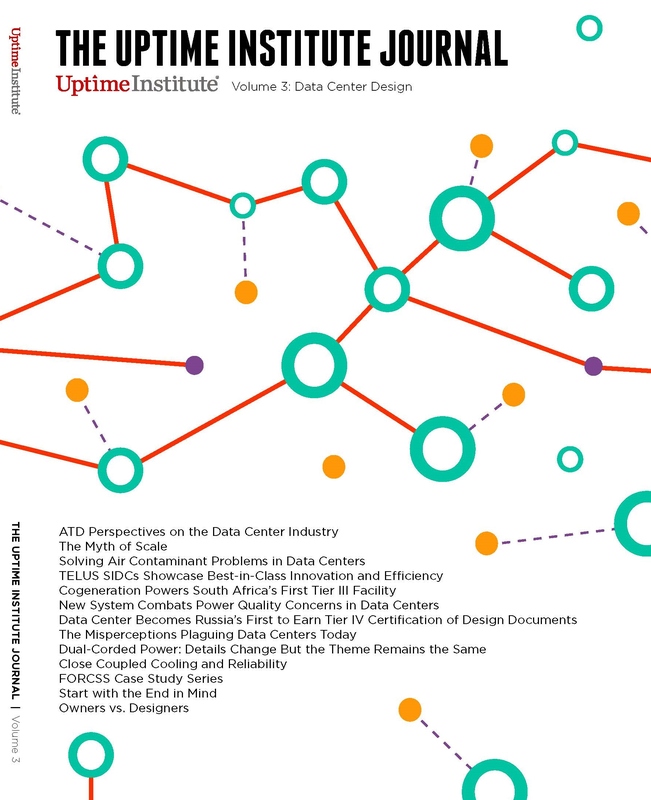 Volume 3 of The Uptime Institute Journal, focuses on data center design. As with previous issues, Volume 3 provides a range of perspectives on design issues that matter to the data center industry, particularly facility owners and operators. Articles include case histories, perspective from industry leaders and Accredited Tier Designers (ATDs), official Uptime Institute publications, and technical papers from Uptime Institute staff. Topics include analysis of design trends, discussion of tools available to improve facility design and metrics. At least two stories attempt to address commonly held, but incorrect, industry viewpoints. Authors and participants come from Canada, Russia, the U.S., EMEA, China, South Africa, and other parts of the world. We invite Uptime Institute Network members, Accredited Tier Training alumni, and Tier Certification awardees to request a copy of Volume 3 for a shipping & handling charge. If you need multiple copies please contact your local representative.